Kim Church. Byrd. Ann Arbor, MI: Dzanc Books, 2014. Addie Lockwood notices Roland Rhodes the first day he appears in her fourth grade class. He’s the new boy in town, the son of a doctor. Roland doesn’t notice Addie until his senior year of high school. By then, she knows all sorts of personal details about him. Roland is a talented musician. He favors the Blues. Impressed by Addie’s outspoken intellect during an elective class (“The American Counterculture”), he invites her over to write lyrics to accompany a song. They quickly become friends, but after an awkward encounter, they drift apart just as quickly. Roland places a wedge between them, and Addie accepts it without much of a fight. They never write a song. After graduation, they part ways, for what seems like good. Roland pursues his dreams of musical stardom in Los Angeles and Addie attends college in Greensboro, nearby to her fictional home town of Carswell. 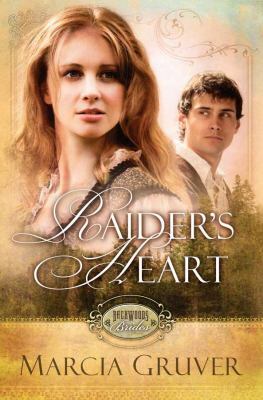 Although their lives are set on two different tracks, Addie refuses to give up on the idea of Roland. Now in her early thirties, she gets Roland’s contact information from high school friends and calls him up. His musical career, as it happens, hasn’t panned out. He still plays, but he works for a company that constructs movie sets. Roland struggles with the practical details of life, like making rent or picking people up from the airport on time. All of his friends, Addie included, have heard the story of his childhood swimming pool accident and the resultant head injury that left him not quite right. Addie, meanwhile, has remained working at the same secondhand bookstore in her college town. Emboldened by a bottle of Beaujolais, she arranges to visit California after she and Roland catch up over the phone. During the visit, Addie becomes pregnant. On a promptly scheduled return trip, she informs Roland in person that she will terminate the pregnancy. But mysteriously, the abortion fails and Addie gives birth to a son that she names Byrd. She puts up Byrd for adoption without notifying Roland. The adoption colors Addie’s life well into her middle age. 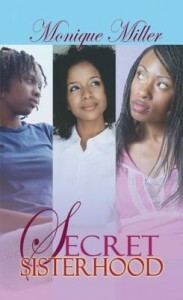 Surrendering her son becomes her and Roland’s most life-altering secret. Byrd is Kim Church’s first novel. 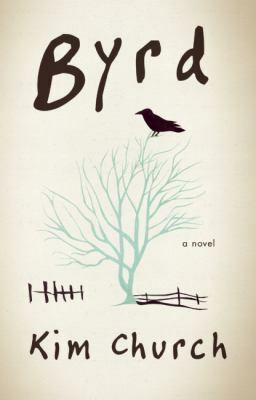 The novel focuses on the two main characters from childhood to middle age, showing their influences on each other’s lives. The story concentrates primarily on Addie and Roland’s perspectives, with imaginary letters from Addie to her forfeited son, Byrd spliced in between. Church represents the pieces of Addie and Roland’s lives with prose that feels simultaneously removed yet intimate. Characters are observed with a detached eye from the third-person, but their emotions and inner thoughts are conveyed openly on the page. Addie is wistful, longing first over Roland, and later over Byrd. As a daughter, she shies away from her parents, keeping them at arm’s length. As a sister, she doesn’t have much contact with her brother, Sam, following her high school graduation. As a mother, she loses the chance to experience motherhood with Byrd. Addie, Roland, and the other characters contend with relationships and love, accepting regret and shame, and coming to terms with loss. Sheila Turnage. The Ghosts of Tupelo Landing. New York: Kathy Dawson Books, 2014. Sixth grade is about to start, and scrappy orphan Mo LoBeau is convinced that the Desperado Detective Agency needs a new case to crack. Since the Agency (comprised of Mo, her friend, Dale Earnhart Johnson III, and his dog, Queen Elizabeth) successfully solved a murder, they’ve only been hired on for two lost pet cases. Mo wants something ground-breaking to rev up business and make a name for Dale and herself as sixth grade sleuths. Luckily, she doesn’t have to wait for long–a new case is right about to fall into her lap. The novel opens the day of the auction of The Old Tupelo Inn, which creates big buzz around the small town of Tupelo Landing (population now 147, following the past summer’s murder). Just about everyone in the town is at the auction, including Mo, Dale and one of Mo’s caretakers, Miss Lana, the owner of the local diner and Old Hollywood aficionado. Miss Lana has her heart set on an umbrella stand, but after an unfriendly woman from out of town (dubbed “Rat Face,” by Mo) makes a move to buy the Inn, Miss Lana hastily outbids her and by accident becomes the new owner of The Old Tupelo Inn along with the partial contents of the property and some very serious fine print. According to the fine print, the inn is haunted by a ghost. Mo, and Dale after plenty of coaxing, set out to identify the ghost. Their mission couldn’t have come at a better time. A few days later, Miss Retzyl, their new teacher, tells the class that as part of the 250th anniversary of Tupelo Landing, she wants each student to interview a town elder. Mo’s arch-enemy Anna Celeste Simpson (aka Attila) somewhat unfairly claims Mo’s adoptive grandmother and the richest and nicest old person in town, Miss Lacy Thornton. But Mo is ready to one-up Attila. She names the unidentified ghost of The Old Tupelo Inn as her interview subject. To Mo, “there ain’t nobody older than dead.” If she and Dale can determine the ghost’s identity, then they’re sure to have the best report and earn themselves a little extra credit in the process. Finding a ghost and convincing it to reveal who it is and why it’s haunting the inn isn’t an open-and-shut case however. Meanwhile, the presence of a new boy called Harm Crenshaw in Mo’s class irks Mo almost as much as living in Tupelo Landing irks Harm. He informs everyone he meets that he is only temporarily staying in Tupelo Landing until his brother Flick (a confirmed, good-for-nothing punk) can collect him to return to Greensboro. And Miss Lacy signs on to bankroll Miss Lana’s staggering bid for the ramshackle Old Tupelo Inn, yet it surfaces that Miss Lacy might not be as rich as everyone believes her to be. Could Miss Lana and Miss Lacy’s ownership of the inn be in jeopardy? 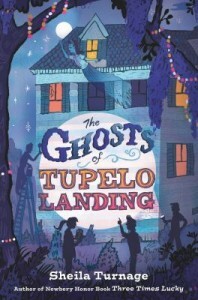 The Ghosts of Tupelo Landing is novelist Shelia Turnage’s second Mo LoBeau mystery. Turnage creates a magical setting in the fictional Tupelo Landing — it’s a wacky, charming small town. Outrageously spunky and spirited Mo has a lively voice and her narration makes the pages turn quickly. Don’t let the young adult packaging stop you from picking up Turnage’s follow-up to Three Times Lucky. With Mo as your guide, Tupelo Landing is quite an entertaining place to pass some time. Click here to read a blog post on the first novel in the series, Three Times Lucky. Kim Williams Justesen. The Deepest Blue. Terre Haute, IN: Tanglewood Publishing, 2013. At fifteen, Mike Wilson is a typical teenage boy, with the same concerns as his peers. His is counting the days until he can drive, and each day he hopes that he will better understand girls and one girl in particular–Rachel, his on-again, off-again girlfriend. In the meantime he is working this summer, like previous ones, on his father’s charter fishing boat. Mike doesn’t know if he’ll want to make this boat his future, but he enjoys spending time with his father, Rich. Rich has been Mike’s sole parent ever since the two of them left Mike’s mom. Mike was just five when he and his dad moved from Washington State to the North Carolina coast, but Mike has memories of his mother’s unhappiness and her coldness toward him. It’s fine with him that he has rarely heard from her these past ten years. As The Deepest Blue opens, Rich tells his son that he is going to ask his long-time girlfriend, Maggie, to marry him. Before he offers Maggie a ring, Rich needs to know that Mike will be OK with this change in his life. Mike is thrilled. Sure, it will be different, but Mike knows that Maggie and Rich love each other and, in truth, she has been like a mother to him for the past few years. But before Rich can pop the question, tragedy strikes. Rich is killed by a drunk driver. Maggie and Mike are devastated–the future that there were to share has been taken from them. But perhaps they can have a different future together. Mike would like Maggie to adopt him, but because he is a minor he is not free to do as he pleases in such an important matter. And because his age, his mother, Julia, is notified of her ex-husband’s death. To everyone’s surprise, Julia asserts her parental rights and makes plans to take Mike to live with her new family on the West Coast. 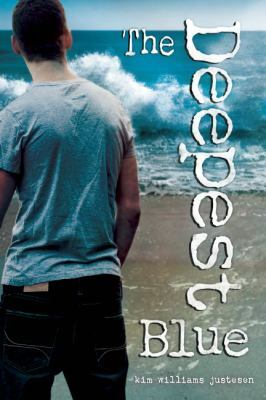 The Deepest Blue follows Mike and Maggie as they, though grief stricken, try to mange their feelings, bury Rich, and do battle with Julia for Mike’s future. The story is told from Mike’s perspective, and readers come to see a decent, ordinary boy struggle toward the maturity that he will need to become the person his father hoped he’d be. Clay Carmichael. Brother, Brother. New York: Roaring Brook Press, 2013. Mem always had two rules for Brother: “Never assume anything and Pay attention, pay attention, pay attention.” When he came home late and tired after working at double shift at The Elms Rest Home and then getting into a fight with his best friend, Cole, seventeen-year old Brother didn’t think to check in on his grandmother. The next morning he found her dead in her bedroom. Mem’s death was not a total surprise to Brother. She had been sick with breast cancer and the doctor estimated she had only weeks left. But her death was still a blow. Mem raised Brother as his adoptive mother after Brother’s birth mother left him with Mem as a toddler. His mother died in a car accident soon after she passed Brother over to Mem. His father’s identity remains a mystery. The truth died with his mother. Or so Brother thought. That identity might not be a secret for much longer. Brother discovers from the undertaker, Bayliss, that Mem had a newspaper in her bed when he came to take her body. The newspaper contained an article about the reviled Senator Gideon Grayson, and his son Gabriel, who recently suffered an overdose. Mem was the housekeeper’s daughter for the Grayson family. But that’s not the eerie part. Gabriel and Brother are spitting images of one another – and, feasibly then, twins separated at birth. After he sees the picture, Brother sets out for the Grayson family home, on Winter Island off the coast of North Carolina, to find his brother and learn the truth behind his parentage. Before Brother leaves his small-town with his faithful Australian shepherd mix, Trooper, he winds up saddled with another unexpected burden. Cole has vanished. Cole was a flashy big-talker who dreamed about winning a fortune through cards or the lottery. Presumably, Cole skipped town to seize such an opportunity. In his absence, Cole left behind his little brother, Jack. Along the way to find his twin, Brother, Jack, and Trooper meet Kit, a teenaged girl, who helps them on their trek to the Grayson home. As they journey closer to the island, Brother is mistaken for Gabriel, and the reaction is anything but pleasant–it turns out that Brother’s long-lost twin has quite a reputation. 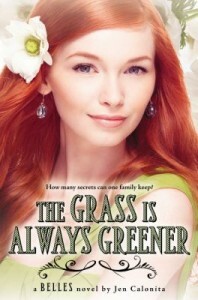 When they reach the island, the Senator’s stepdaughter Lucy intercepts them. She hides the band of castaways in a cottage on the island and delivers them food and other supplies. Lucy insists that the three fugitives remain hidden, at least initially. She assures Brother that he must wait for the right opportunity to approach the Senator. Over time, Brother suspects that Lucy might not be as sweet as she pretends. 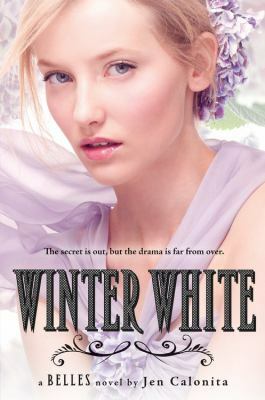 He grows restless and ready to march into the Senator’s estate, named – amusingly enough – Eden. But Brother would be wise to remember Mem’s two life rules. Eden is unlike his small town. It is full of the most disingenuous types of people around: politicians, lawyers, and their lackeys who spin lies in any direction they want. To get to the truth, Brother must think savvily. The truth he hopes to uncover though might be much more poisonous than he could have ever imagined. 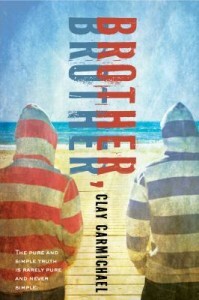 Novelist Clay Carmichael revises the prince and the pauper tale for a modern audience and weaves in elements of a road trip story. The book is geared toward young adults, but has content that could grip readers of many ages. Carmichael is a Chapel Hill native with a degree in creative writing from UNC-Chapel Hill. She currently resides in Carrboro. For information on her first novel, Wild Things, read this post. Sheila Turnage. Three Times Lucky. New York: Dial Books for Young Readers, 2012. Moses “Mo” LoBeau is no stranger to mysteries. Found as an infant floating down the Tar River on some debris during a powerful hurricane, the rising sixth grader’s very existence is something of an oddity around Tupelo Landing. Which is not to say that she is shunned by the (fictional) eastern North Carolina town; on the contrary, Mo is a star. Helping her guardians, Colonel LoBeau (who found and named her) and Miss Lana, run the local cafe (which serves such specials as peanut butter and banana on Wonder Bread and Mountain Dew as the drink du jour), Mo is beloved by all of the hotspot’s customers. Although she would love to know who her “Upstream Mother” is, and she tries to find her by sending letters in bottles along nearby tributaries, Mo is content. But then Joe Starr, a lawman with too many questions about the Colonel, shows up, and Miss Lana goes missing. The town is shocked when Mr. Jesse is found murdered and Mo’s best friend, Dale Earnhardt III, was the last to see him alive. With all this trouble so close to home, Mo steps up as pint-sized detective to crack the multiple cases. 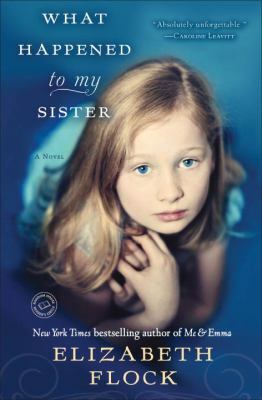 In doing so, she preserves the only family she has ever known and returns her close-knit village to normalcy. Marcia Gruver. Raider’s Heart. Uhrichsville, OH: Barbour Publishing, 2011. Back in the early 1850s, Silas McRae was a no-good thief and a charlatan. He had to be: despite having the surname name “McRae” he and his family, like other Lumbee residents of Robeson County, North Carolina, were looked down on and scorned by most North Carolinians. Now it’s 1871, and as an older man with a family, Silas regrets his thieving ways. But his greatest regret is the loss of a beautiful golden lamp, stolen from a rich Fayetteville home one fateful night in 1852. Silas has told the tale repeatedly to his two boys, Hooper and Duncan: how beautiful the lamp was, and how Silas was sure that its strange shape held a genie that would answer all of his problems. When Hooper and Duncan hear from a cousin that the lamp might have found its way to the family of a wealthy local planter, how can they resist stopping by to acquire it? It seems like a simple job of thievery, but the boys don’t count on the feisty Dawsey Wilkes, the (supposedly) gently raised daughter of Colonel Gerrard Wilkes. Dawsey apprehends the criminals in the act of stealing her father’s precious lamp, but the situation goes terribly awry for all parties involved, and somehow the McRaes end up kidnapping Dawsey. But the trouble is just beginning. When the McRaes arrive home in Scuffletown with Dawsey, they discover that she is the spitting image of their little sister Ellie, who is exactly the same age. Are the two girls twins? And could the beautiful, haughty Dawsey ever fall for the likes of Hooper McRae? What unfolds is a tale of danger, unexpected family, and romance. This first novel in Gruver’s Backwoods Brides series charts a stormy course through the racially charged history of Reconstruction era Robeson County.